I think Soul Sacrifice is worth the asking price, but playing it may exact an unexpected toll on your thoughts. To enjoy it is to engage with its unvarnished contract, and to recognize your adventure as a sequence of repetitive harvests that culminate in some kind of relief and freedom. That I was so driven to maximize my abilities and overthrow my captor is the game's credit and curse. Still, Soul Sacrifice has me itching to buy a Vita (I borrowed the one I played the review code on), which is an accomplishment since my 3DS has been more than adequate for my handheld needs. Having completed the main story at 40 hours, there are still a ton of optional missions and upcoming DLC with new stories and new monsters to play. 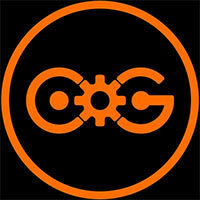 While the game is a little limited by the platform, the underlying mechanics will capture a certain style of player. If you like complex action RPGs in the vein of Demons Souls and Monster Hunter then Soul Sacrifice is worth a look. It takes a sizable commitment to uncover the dark, captivating mythology of Soul Sacrifice underneath its grind-heavy beginnings. Whether unlocking the mysteries of its story or plumbing the depths of its magic systems, the experience is weighed down by a reliance on dull combat mechanics. Its complex, interlocking systems and the draw of cooperative multiplayer can't save Soul Sacrifice from its greatest sin: tedious gameplay. 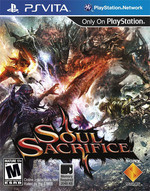 Soul Sacrifice is a dark, addictive and brutal action-RPG that excels in aesthetics and rewarding combat. Poor A.I., repetitive foes and steep learning curve prevent it from reaching triple-A heights, however. Delving into Magusar's story unveils a world rife with tragedy. It's rare to see a game embrace the horrible so wholeheartedly. In a way, it's a good change of pace. While it's impossible to overlook the repetitiveness of some quests, the grotesque environments and enemies keep things visually interesting. Soul Sacrifice offers a unique, engaging experience. Its quest structure makes it perfectly suited for a portable, yet its addictive nature will have a lot of players never wanting to put it down. 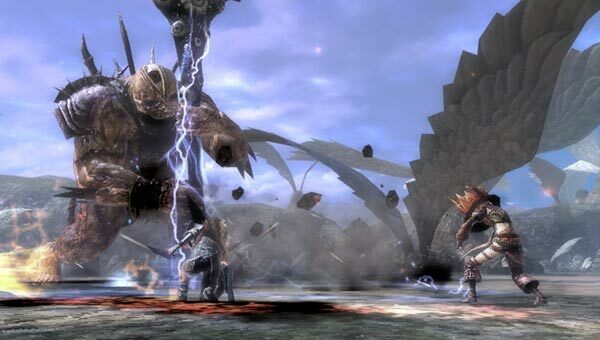 Action RPGs like Soul Sacrifice are often mocked for their repetitious nature, and a lot of that criticism is deserved. But while it falls prey to the same pitfalls as many of its contemporaries (Is it really that hard to have a greater variety of maps and enemies? ), Soul Sacrifice does so much so well that its action bears a good deal of repeating. Whether you're playing for minutes or hours at a time, it's an addictive and rewarding experience. Its rewards are only accessible to those who have the patience to learn the game's intricacies and overcome the initial hurdle. However, considering the starved lineup for the struggling handheld, it could be worth your time to sacrifice a few souls. There’s a strong element of cooperative play with an excellent twist that will surely be the death of many a friendships, and plenty of character customization to build up your own magic-wielding badass. The game’s got plenty of great content, especially if you can convince a few others to take that step with you, but if you’re holding your breath for a great story, you’re almost certainly going to be disappointed. Soul Sacrifice is a solid action game and stands as the best action RPG on the Vita at this point in time. There’s a strong element of cooperative play, plenty of character customization, and about 30 hours of gameplay available. That being said, I am somewhat disappointed by the lack of story as the games awkward and overwritten narrative doesn’t hold up well when compared to its amazing visual design. It’s an original and moody action-RPG with fast-paced, energetic combat and layers upon layers of depth to explore. That it also happens to look amazing (other than a few spots in which ground textures were somewhat pixelated) is just icing on the cake. This is, by far, one of the most solid games on the Vita. If you can let the deep magic system and customisation of your attack and defence setup get its hooks into you, in the same way that Monster Hunter’s relentless quest for a new hammer can, then this is an absolute winner. I’d love to see it do well, but it definitely isn’t the killer app Sony could use right now. It’s sort of like an engineer boarding the Titanic. Good, useful, definitely worth having, but man, the ship is still sinking. The presentation isn’t always as polished as you’d expect from a first-party release, but the perverse art direction makes up for it. If you’re in the market for something a little different, there are worse experiences on the Vita for you to surrender your time to. 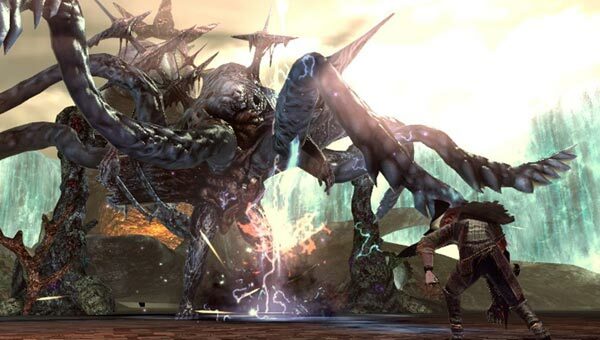 Although it's an original franchise, Soul Sacrifice follows the standard formula for a successful sequel. It's one-third same old stuff, one-third tweaked and improved, and one-third brand new. It's like a more approachable take on Monster Hunter with a sense of style to distinguish itself from the pack. Battles are frantic and fun, but can be exhaustingly annoying if you choose the wrong friends. Very much like the game's Lacrima system, however, many of the sacrifices one must make to enjoy the game are negligible in the long run, and there's nothing that should stop one having a damn good laugh and getting utterly hooked on an adventure that really can be played until the Vita's batteries run dry. There is a ton of depth in Soul Sacrifice even if it only truly surfaces when played co-operatively. It can be seen as a flawed masterpiece and is likely to attain some sort of cult status on the fledgling platform. 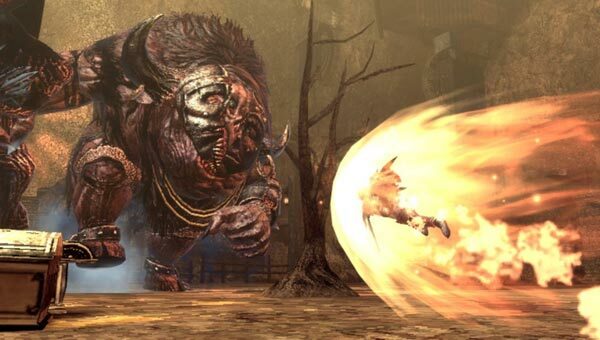 If you're ready to invest countless hours and have a hankering for some online grinding, then Soul Sacrifice provides a novel experience that will challenge your notions of what an action-RPG should be. Even so, the evocative setting and tangible narrative help propel you on a journey where taming every Archfiend and building an unstoppable collection of spells quickly becomes the driving force. It's just a shame that behind all the mythical monsters and magical flourishes there isn't an equally accomplished gameplay system that actively encourages you to learn and exploit the nuances of your prey. A worthwhile stopgap, then, but the wait for the Vita's defining magic moment continues. La portátil de Sony acoge uno de los títulos más curiosos y originales de cuantos han aparecido para la misma en exclusiva. La propuesta y desarrollo están fuertemente ligados al género hack´n slash, teniendo que entablar una gran cantidad de duelos contra hordas innumerables de monstruos. Pero su funcionamiento y puesta en escena se encuentran en un plano diferente de lo que suele ser habitual en el género, añadiendo algo de frescura a un género muy necesitado de esta cualidad. Una de las mejores cosas de Soul Sacrifice es que su extensa demo os permite probar la mayoría de mecánicas y haceros una muy buena idea de cómo es el juego. Desde hace unos días se encuetra disponible en PSN y mucho les estáis echando un buen puñado de horas. El sentimiento de repetición en la jugabilidad puede surgir, sobre todo en una propuesta que no solo no dura menos de diez horas, sino que por fortuna se va a la veintena y más allá incluso solamente en el modo Historia, pero la profunda gestión de combate, las posibilidades de magias, crafteo –aunque no a nivel de un Atelier por ejemplo- y el impagable modo multijugador online y Ad Hoc ayudan a paliar este sentimiento. Doch was man im Gegenzug an Inhalten, Personalisierungsoptionen, interessanter Erzählstruktur sowie dank der umfangreichen Waffenauswahl letztlich doch taktisch geprägten Kämpfen bekommt, kann sich sehen lassen. Ist Soul Sacrifice einer der seltenen und doch so dringend benötigten Vita-Systemseller? Nein! Aber es ist ein spaßiger Zeitvertreib, wie er mir seit Systemstart selten begegnet ist. Zudem einer, der überraschend viel Tiefgang unter der actionreichen Haube verbirgt. On pouvait craindre que ce Soul Sacrifice ne nous propose finalement qu'une mauvaise copie de la recette éprouvée depuis des années par la série des Monster Hunter, mais rassurez-vous, il n'en est rien. Les pages effacées, inaccessibles dès le début en raison des troubles de la mémoire de l’Auteur, font partie de ce même mécanisme qui dévoile un jeu différent au fur et à mesure de l’aventure. Il est d'ailleurs possible de faire avancer l'histoire ou simplement de remplir des quêtes pour Avalon, l'organisation des Sorciers, afin de faire du leveling. Soul Sacrifice é um dos produtos mais singulares e mais carismáticos da PlayStation Vita até hoje. É um produto de futura referência que caso se faça justiça não se ficará somente por este primeiro capítulo. Considerando che stiamo parlando di un gioco d'azione portatile, si tratta di un elemento di particolare importanza che rende Soul Sacrifice un titolo godibile e capace di invogliare gli utenti a collaborare organizzando intense sessioni multiplayer, online o in modalità Ad hoc, esattamente come accade da anni con Monster Hunter. Soul Sacrifice, pur pulsando con un cuore nipponico che potrebbe far storcere il naso agli occidentali più integralisti, è intriso di quella amara poesia e ammaliante immediatezza nel gameplay, nei quali gli sviluppatori del Sol Levante sono veri maestri. Nessuna ombra di ripetitività potrà quindi scalfire l’assoluta eccellenza del titolo di Marvelous AQL. De game wordt gesierd door het feit dat je de hele game werkt met spreuken en niet over een standaard arsenaal aan wapens beschikt. Er zouden meer van dit soort games uitgebracht moeten worden op Sony's handheld. Dit is ongetwijfeld de PS Vita game van dit moment.